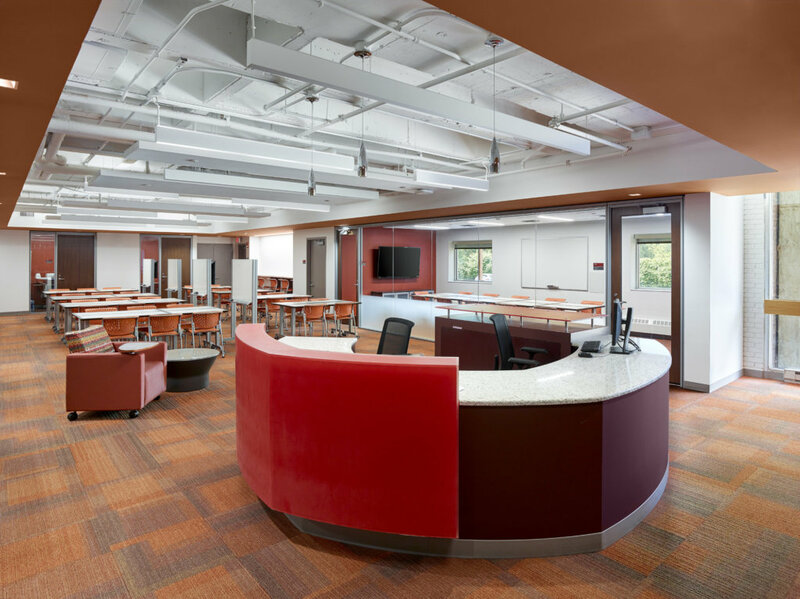 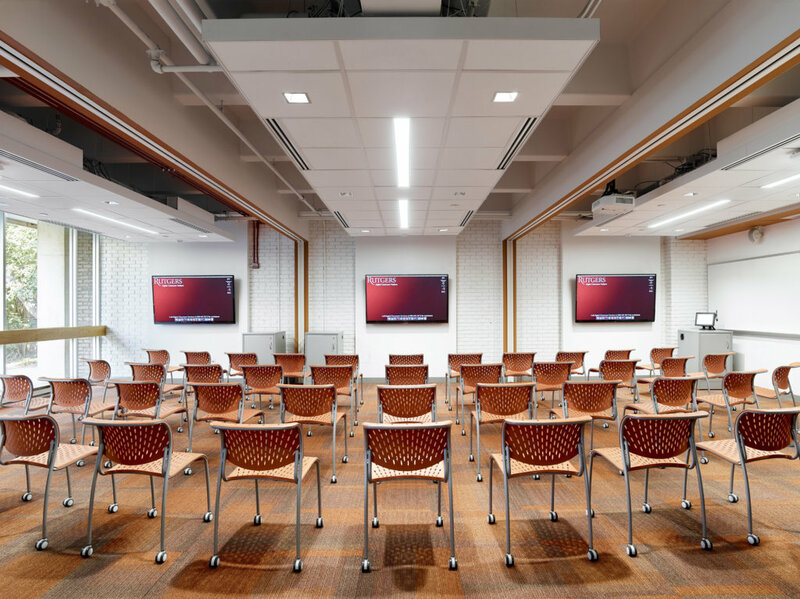 The Livingston Learning Center renovation transformed a previously dark and difficult space into an energized, dynamic space for learning, tutoring, and collaboration. 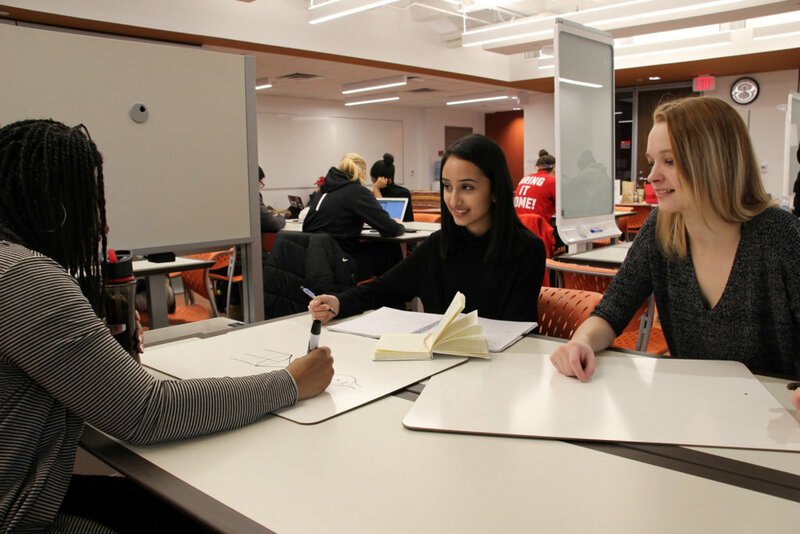 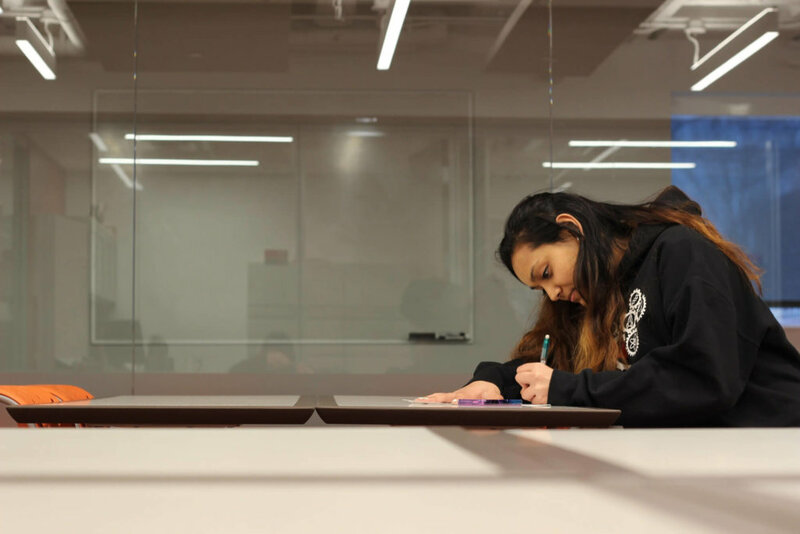 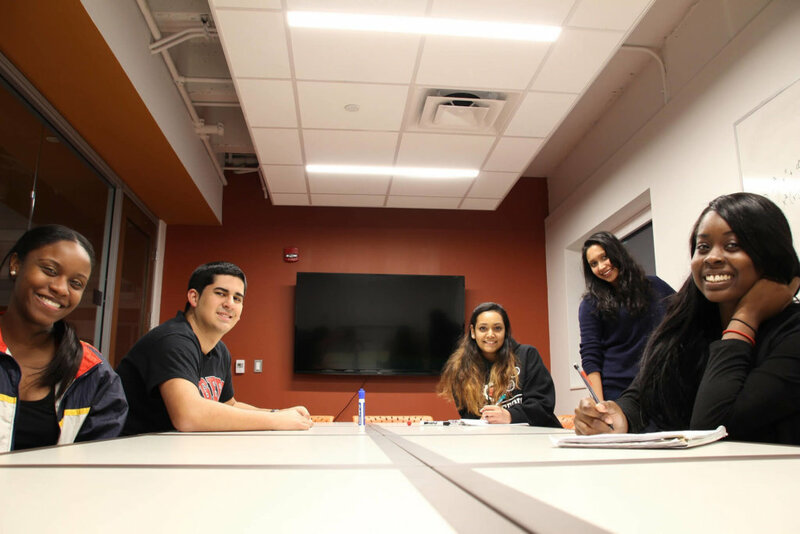 A central help desk serves as a check-in for students in need of tutoring services and is adjacent to staff offices, collaboration rooms, and an open tutoring and lounge floor. 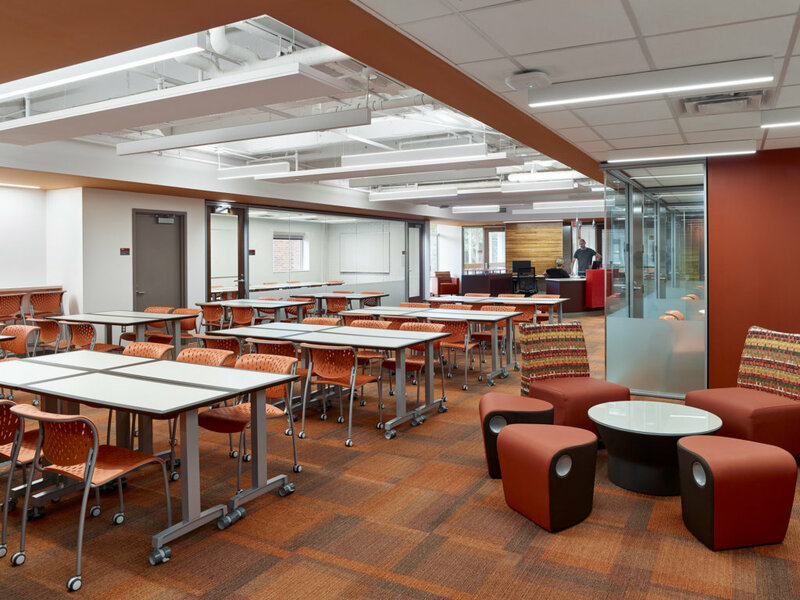 The collaboration spaces feature reconfigurable triangular tables to allow for multiple seating options and mobile partitions are clad in a markerboard finish to help maximize the use of all walls within the space. 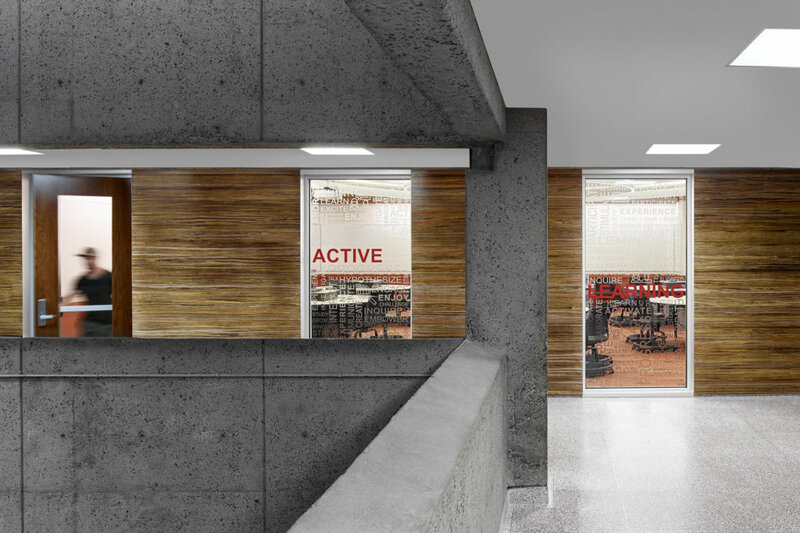 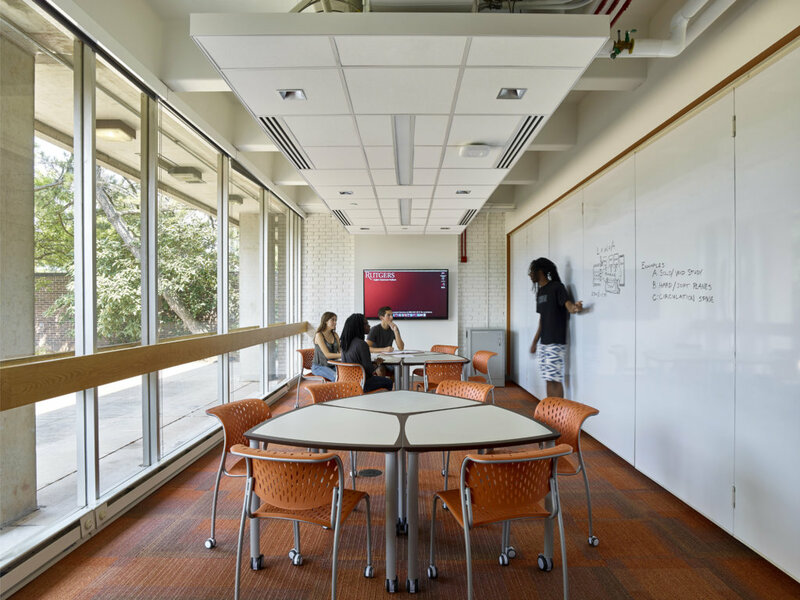 The nearby active learning classroom is a model prototype for active learning at Rutgers. Clarke Caton Hintz worked closely with the Rutgers Digital Classroom Services to craft the space to be a technology-rich and effective model for active learning. 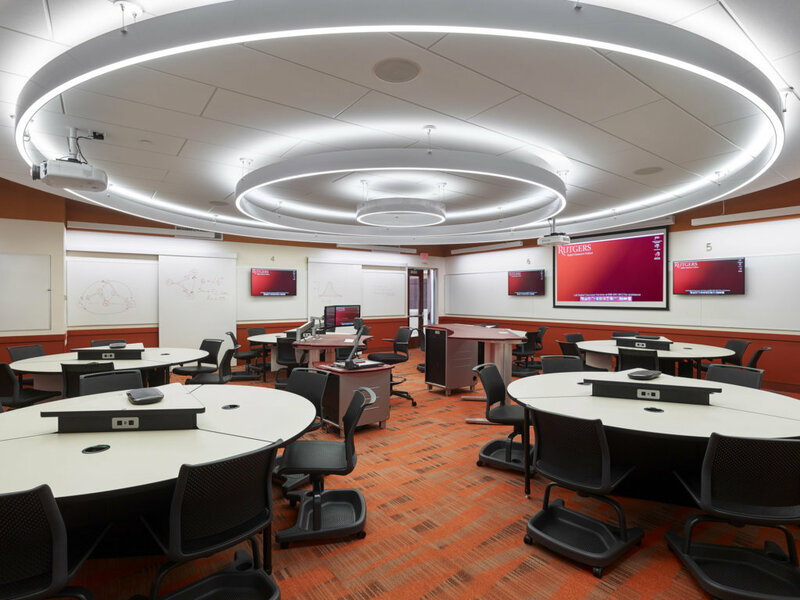 The room features a central control station and a series of nine-person tables grouped around central power and data spines. 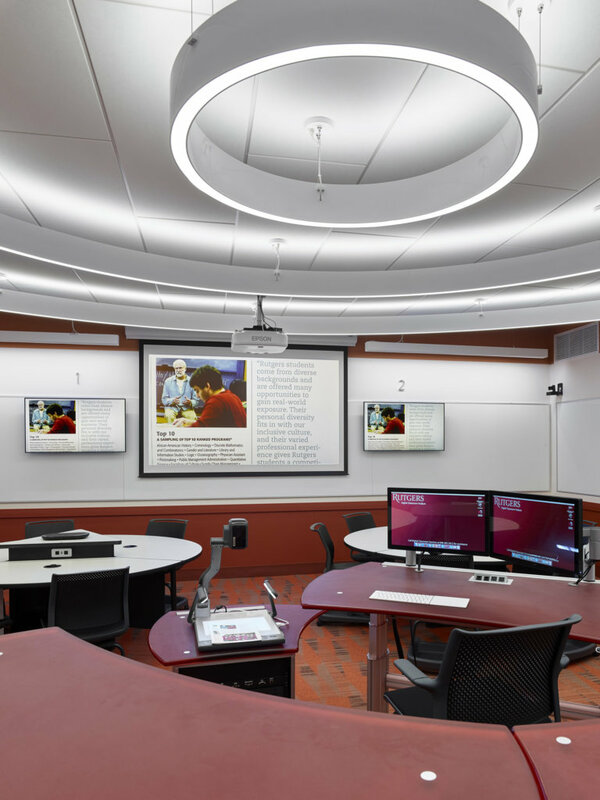 Each table has access to a flat screen monitor on the nearest wall, and the control station allows for supplemental projection on two walls and controls for distance learning. 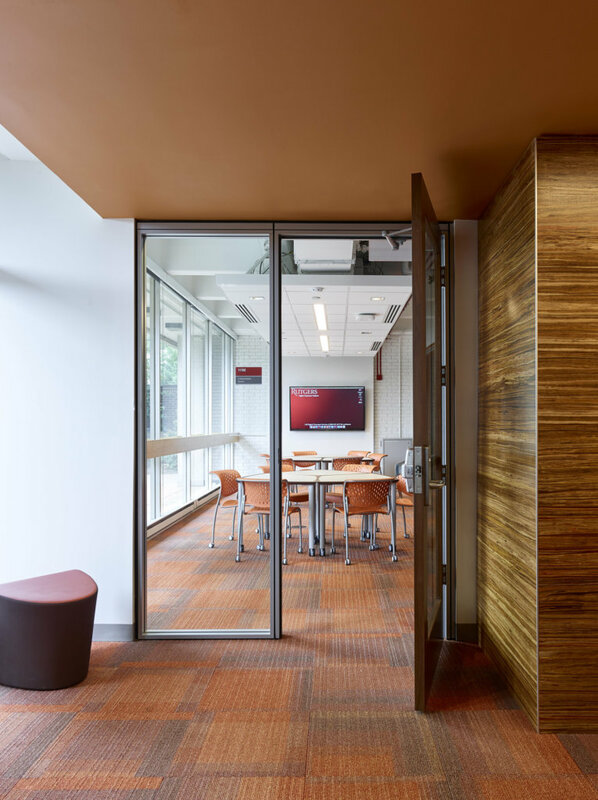 Sliding partitions at perimeter walls allow for floor-to ceiling markerboard surfaces and all perimeter walls are clad with markerboards.